Henne Strand. New holiday house for 6 persons, tasteful furnishing and with spa and sauna. Located in a wonderful nature area with good possibilities for walkings in a forest, on the heath and the beach. Søndervig - Lodbjerg Hede. Luxury holiday house for 12 persons located on a 2.700 m² property. A very nice house close to sea, fjord, golf course, playing ground, fishing lake, bowlingcenter etc. Free internet in house und Free access to bowling, tennis, fitness center etc. Gjeller Odde - Lemvig. Cottage 86 m². 6 persons. Washing machine, freezer. 100 m to the beach, view.Dishwasher. Blåvand. Holiday house for 8 persons, 101 m². Jacuzzi, 2.300 m2 property, 3 bedrooms and 2 bathrooms. Fjand. 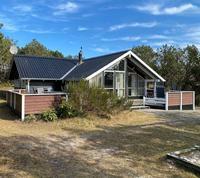 Cottage for 6 persons in first row at Nissum Fjord with wunderful view to Torsminde, Bovbjerg Lighthouse and the dunes. Lounge and open kitchen, 3 bedrooms. Henne Strand. Modern apartment with view over the Northsea. 100 m from bathing beach. 250 m to shoppingcenter. Modern facilities, TV/DVD, Washingmshine, Tumbler, 4 pers. From DKK 1975/week. Lodbjerg Hede - Søndervig. Lovely older stone house for 7 persons on a large nature site sheltered by a lot of trees. Large kitchen/family room with stairs to the bedroom with panorama. Fjand. Completely renovated, thatched holiday house for max. 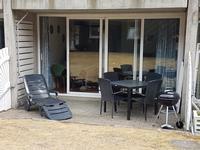 6 persons located in the dunes with direct access to the beach of the Northsea. Henne Strand. Super pool house for 8 persons, 160 m². Tasteful furnished. Calm surroundings. Sun heating and heat reclaiming system, sauna, solarium a.m.o. Henne Strand. Wonderful poolhouse, 10 persons with all luxury. Nice and comfortable furnished. Possibilities for good walkings in an forest nearby. Harboøre - Vrist. Thatched beach farm of 105 m2, entirely refurbished, 4 bedrooms. For max. 8 persons. 300 m from the North Sea. A house with a personal touch on a 5,000 m2 site. Wifi. Blåvand. 10 m from the beach. First line. Panoramic views. 1.5 km from Blåvand, 1.5 km from the lighthouse. 5-star luxury Whirlpool house, 6 persons, 117 m2, tastefully decorated + garage - you will not be disappointed. Thorsminde. In this beautiful and unusual nature area by the floodgate stands a new-built holiday cottage for 4 persons on a natural site with only 200 m to the North Sea with white sand and great bathing beach. Jegum Ferieland. Lovely holiday house for 8 persons - situated in the heart of Jegum Holidayland. Jacuzzi, sauna and all white goods. Close to wood and bathing land. Henne. Luxury holiday house for 10 persons with swimming pool and 4 bedrroms in quiet wood area behind the dunes. Perfect for children. Grærup - Vejers. New luxury holiday house close to the North Sea. 6-7 persons. Wonderful nature around. Panoramic view. Jacuzzi, woodburner, TV, DVD. Søndervig. The North Sea - Klegod Strand ? Luxury house for 6 persons. 97 m2 thatched stone house on 2,100 m2 nature site. Built in 1999. All modern facilities and great views of the dunes. 3 bedrooms and spa. Søndervig. West coast of Jutland - Klegod. Newly renovated, charming, thatched 4-star stone house, 8 persons, 106 m2, 4 bedrooms, 700 m from the sea, New spa, 2 bathroom, 2 toilets, 2 shower. Vejlby Klit. Skippers holiday cottage for 6 persons. 3 Bedrooms, wood burning stove, Sat/TV, Radio, DVD/CD-player. Nice terasses with splendid views. All facilities in the kitchen. Internet access. Free acces pool/Lemvig. Harboøre - Vrist. Wonderful, light holiday cottage, 136 m2, for 8 persons in first line by the North Sea. Only 75 m to the waterline where you can go bathing. 5 Bedrooms. Houstrup Strand. Modern luxury house with jacuzzi,Sauna, wireless Internet etc. Tastefully and nice arranged for 6 persons. Situated in a lovely nature area with wood, heath, high dunes and white sandy beach. See prices and calendar on the homepage. Fanø - Rindby. Panoramic views over the North Sea. Cottage, 120 m2, spa, sauna, 6 persons. Bathroom, hall, lounge, family kitchen, 3 bedrooms and extra toilet. Tumbler. Hvide Sande. Cosy thatched cottage, 75 m2 for 6 persons in Nr. Lyngvig, Hvide Sande on a large nature site only 500 m from the North Sea. Sea view. 2 bedrooms and open loft. Bjerregård Strand. New luxuryhouse with whirlpool, sauna etc. Modern, nice and cosy arranged for 6 persons. Situated in a lovely nature area with high dunes and white sandy beach. Lemvig. cottage, 135 m2, for 8 persons. Great views over town, harbour and Limfjorden. Central location, 5 minutes walk to harbour and shopping. 10 minutes by car to the beach. 15 km from the North Sea. Very usefull all-year. Fanø. Luxury holiday house for 14+2 persons with pool, jacuzzi and sauna. We have playing tower and trampoline to the kids. Søndervig. 144 m2 luxury holiday house for 8 persons with pool and jacuzzi. Free admission to swimming baths, tennis, bowling alleys and fitness center. Prices from 430 Euro. Blåvand - Hvidbjerg Strand. Wonderful cottage of 70 m2 with great location few metres from the North Sea and panoramic views of dunes and heaths. Henne. Well equipped luxury holiday house, 110 m2. Built in 2005, 6 pers. Near by Henne Strand. Direct at Blåbjerg Plantage - Lyngbo Heath. Golf course, riding center, beach. Woodburner, TV/radio DVD. EUR 350 - 835/week. Vedersø Klit - Ulfborg. Large 100 m2 thatched cottage in brick close to the North Sea for 6 persons. Light and friendly on large site with little wood. 3 bedrooms. Mobilt internet. Ribe. Schönes Ferienhaus auf dem Lande in ruhigen Umgebungen südlich von Ribe. Raum für 6 Personen. Viele Erlebnisse im Wattenmeer und der Kulturstadt Ribe. Bork Havn - Ringkøbing Fjord. Lovely 5-star cottage, well-designed, child-friendly with jacuzzi for 8 people. Lovely light living room with wood stove, open loft and three comfortable bedrooms with new beds in 2014. 800 m from child-friendly beach. Fiber broadband. Wireless lan. Vester Husby - Vedersø. Poolhouse, 215 m2, with swimminpool, jacuzzi, sauna and solarium. 15 persons. Free access to activity center and public swimmingpool. For rent on weekly and weekend basis. Søndervig. Modern holiday apartment in Søndervig for 8 persons. Classic and modern Danish holiday resort in Søndervig 100 m from the North Sea. Free indoor and outdoor activities for all lodgers. Subtropical pool area. Dayz Seawest Nymindegab. Fishing houses for 4 - 6 persons with living room, open kitchen and bed settee, 2 bedrooms, bathroom, sunny terrace. Wonderful holiday resort with large water park, tennis, badminton, minigolf, bowling, play land. Blåvand. Allergy-friendly, well equipped family cottage of 77 m2 for max. 6 persons on dead-end road with no traffic. Please, no pets. 2 terraces. Interesting nature site of 2200 m2 with sandpit etc. Dayz Seawest Nymindegab. Skipper houses for 6 persons with living room, kitchen-dining room, 2 bedrooms, bathroom, sonny terrace. Wonderful holiday resort with large water park, tennis, badminton, minigolf, bowling, sports hall, etc. Dayz Seawest Nymindegab. Holiday houses for 8 persons with living room, kitchen-dining room, 3 bedrooms, hems, bathroom, sunny terrace. Wonderful holiday resort with large water park, wellnes, tennis, badminton, minigolf, bowling, sports hall, playing ground etc. Thyborøn. Cottage in 1st row to the North Sea. 175 m2 well-equipped with jacuzzi and sauna. Easily accommodates 6 persons. Located close to beach, harbour, shopping and good restaurants. An anglers paradise. Fanø Bad. Flat on Fanø, 4 pers./40 m2, ground floor w/roofed terrace. Beach, water park, golf, shops, nature - everything on the doorstep! Only 12 min by ferry from Esbjerg. Henne Strand. Lovely light holiday apartment for 4 persons, with terrace. 150 m from the Northsea overlooking the dunes and the sea. Access to pool and sauna. Bjerregaard. 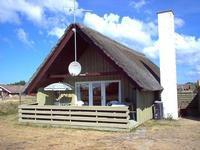 Vesterhavsbo - Lovely and modern cottage in Bjerregaard at Holms dune land with spa, sauna and internet. Nr. Fjand. Lovely cottage with living room, kitchen, 3 bedrooms and newly refurbished bathroom. High location overlooking Nissum Fjord and the dunes at the North Sea. Close to fine sandy beach and child-friendly bathing lake. Bork havn. Nice luxury cottage in Bork port affordable for rent. With all conceivable equipment. The house is 90 m2 and built in 2004, it includes 3 bedrooms, all equipped with double beds. The house appears as new throughout. Lovely large 1200 m2 land. Vejlby Klit. Beautiful and well-equipped cottage of 100 m2 for 6 people on private land 300m from the beach. Lounge with family kitchen, 3 bedrooms and bathroom with sauna. Well suited for people who favour nature and quiet surroundings. Jegum Ferieland. The atmosphere in this 5 star luxury spa pool house has to be experienced. The house is incredibly tastefully decorated in a timeless design. In the house is used granite, marble and slate, and everywhere with underfloor heating. 4 bedrooms. Bjerregaard. Luxury house with WIFI, suana and spa on nature site, just few minutes from the beach. The house is surrounded by a large partially covered terrace. 3 bedrooms. Final cleaning 68 Euro. Changeover day Friday. Vedersø Klit. Newly renovated villa on a 1500 m2 fenced plot, 500 meters from the beach and 300 meters to shop with minigolf and outdoor pool. Close to the Husby Klitplantage with good hiking and dog wood. Blåvand. Luxury house from 1997 with 5 bedrooms and 2 bathrooms, one with jacuzzi for 3-4 people. Pet-friendly and fully fenced grounds. Houstrup Strand - Lønne. Luxury holiday home, 104 m², 8 persons (2 families) at Houstrup Strand close to the Northsea. Ringkøbing Fjord - Stauning Vesterstrand. Charming cottage of 90 m2 for 6 people for rent at Ringkøbing Fjord. Close to the fiord, at the end of a cul-de-sac, on large secluded site. Lounge and kitchen, 3 bedrooms, extra toilet and bathroom with whirlpool and sauna. Søndervig - Houvig. Panoramic views - 150 meters from the beach a charming, cosy, well-equipped and renovated cottage with living room and 2 bedrooms is for rent. Fjand - Sønder Nissum. Cosy cottage in a beautiful countryside with many footpaths and 200 meters to Nissum Fjord with child-friendly beach and fishing. 6 km to the North Sea.